Eukaryotic microalgae hold incredible metabolic potential for the sustainable production of heterologous isoprenoid products. Recent advances in algal engineering have enabled the demonstration of prominent examples of heterologous isoprenoid production. Isoprenoids, also known as terpenes or terpenoids, are the largest class of natural chemicals, with a vast diversity of structures and biological roles. Some have high-value in human-use applications, although may be found in their native contexts in low abundance or be difficult to extract and purify. Heterologous production of isoprenoid compounds in heterotrophic microbial hosts such as bacteria or yeasts has been an active area of research for some time and is now a mature technology. Eukaryotic microalgae represent sustainable alternatives to these hosts for biotechnological production processes as their cultivation can be driven by light and freely available CO2 as a carbon source. 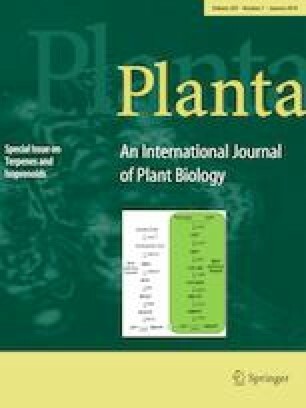 Their photosynthetic lifestyles require metabolic architectures structured towards the generation of associated isoprenoids (carotenoids, phytol) which participate in photon capture, energy dissipation, and electron transfer. Eukaryotic microalgae should, therefore, contain inherently high capacities for the generation of heterologous isoprenoid products. Although engineering strategies in eukaryotic microalgae have lagged behind the more genetically tractable bacteria and yeasts, recent advances in algal engineering concepts have demonstrated prominent examples of light-driven heterologous isoprenoid production from these photosynthetic hosts. This work seeks to provide practical insights into the choice of eukaryotic microalgae as biotechnological chassis. 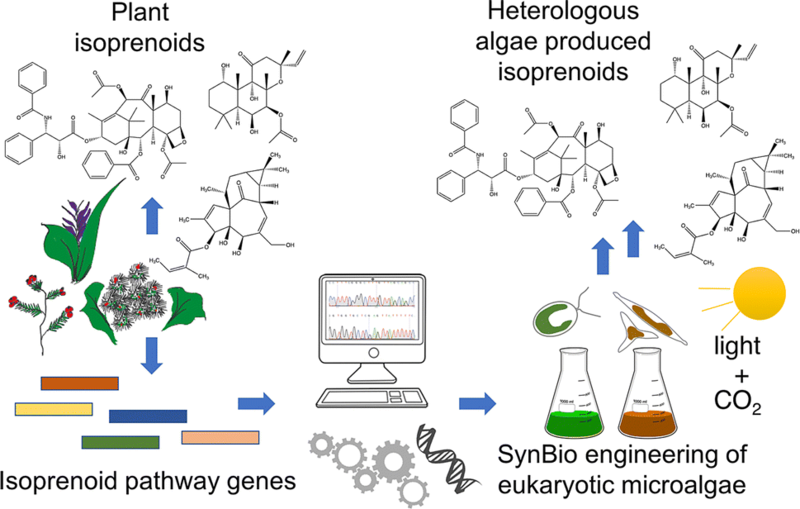 Recent reports of advances in algal engineering for heterologous isoprenoid production are highlighted as encouraging examples that promote their expanded use as sustainable green-cell factories. Current state of the art, limitations, and future challenges are also discussed. This work has been supported by the technology platform and infrastructure at the Center for Biotechnology (CeBiTec) of Bielefeld University. Sincere thanks to Dr. Thomas Baier for critical reading of this manuscript and those mentioned in the text who provided pictures.